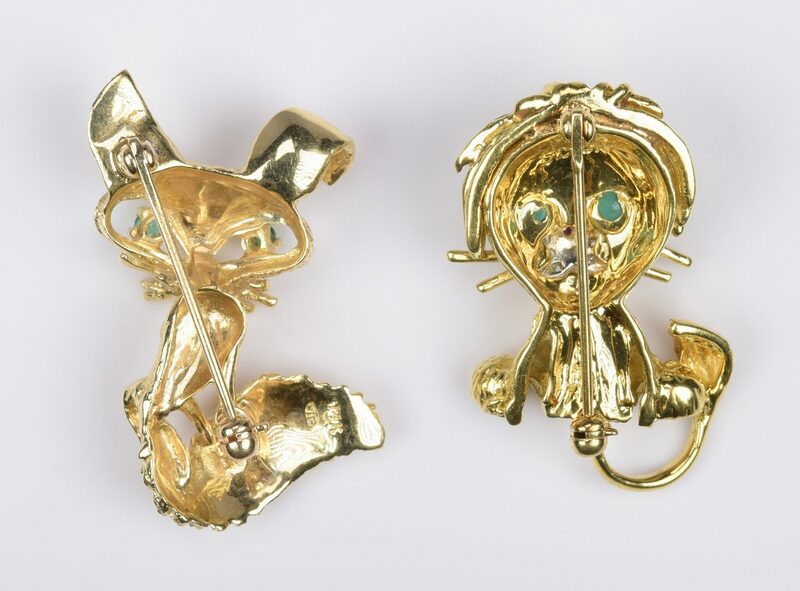 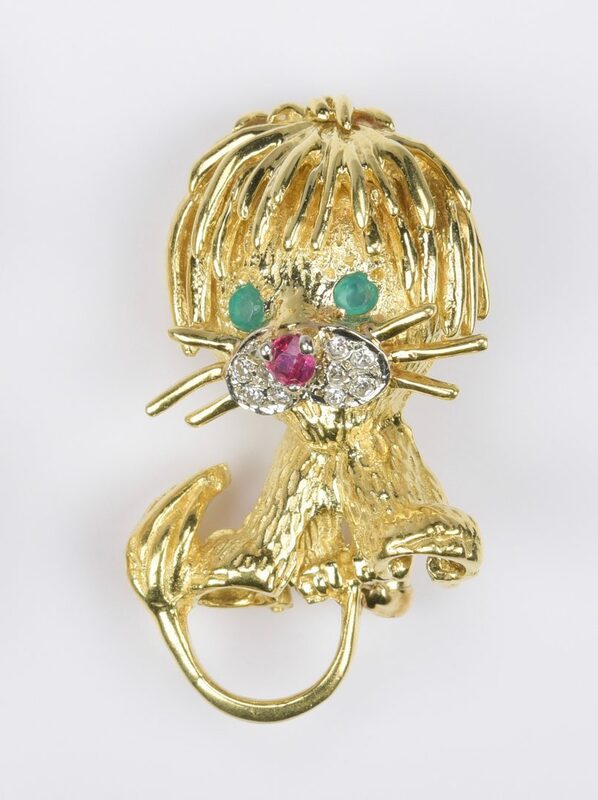 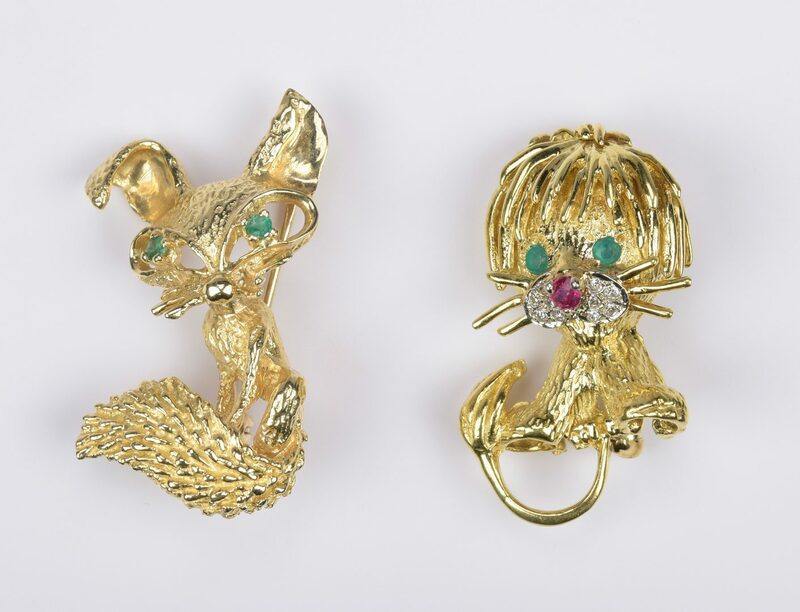 1st item: 18K yellow gold humorous lion brooch with stringy mane, 2 emerald eyes, ruby nose and mouth composed of 10 single cut round diamonds together weighing approximately .10 ct. 1 1/4" H including tail, 11 grams. 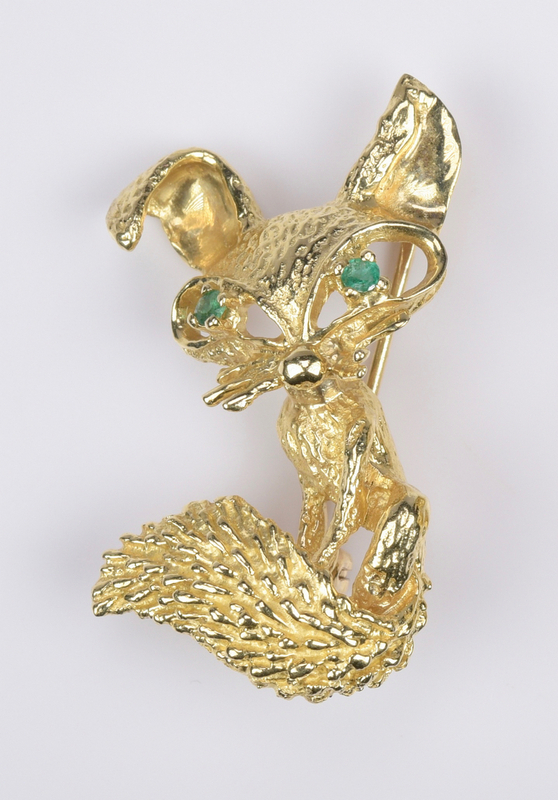 2nd item: 14K yellow gold fox brooch with two emerald eyes approximately 0.10 ct total weight, 1 3/8" H, 6.7 grams. 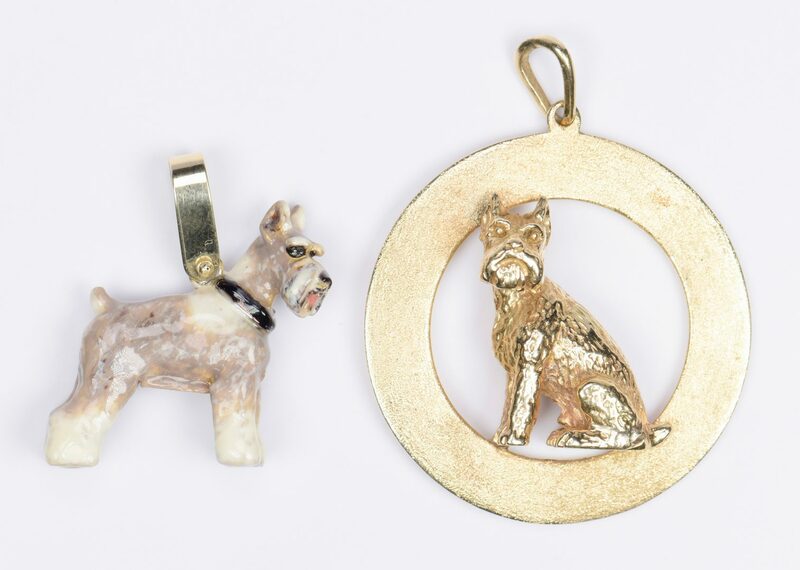 3rd – 4th items: Two schnauzer dog charms including one 14K yellow gold schnauzer dog figure mounted to a satin finish round disc charm or pendant, 1 1/2" diameter x 3/8" D, plus bail. 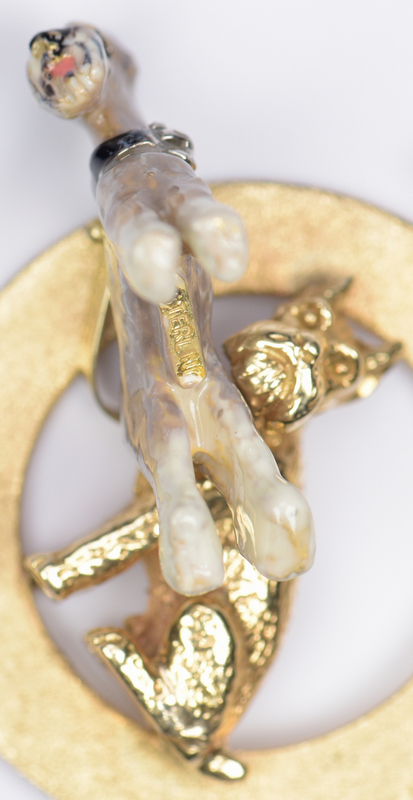 17.9 grams; Colored enamel sterling schnauzer dog pendant with goldtone bail, marked Sterling on base, 1 1/16" H x 1 1/8" W x 5/16" W. 0.36 oz troy. 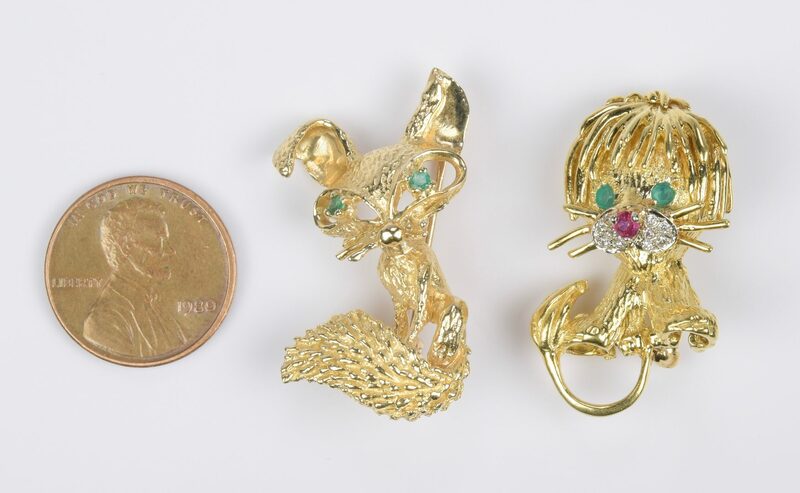 11 grams: 18K; 24.6 grams: 14K. Estate of Jane McKinnon, Lenoir City, TN. 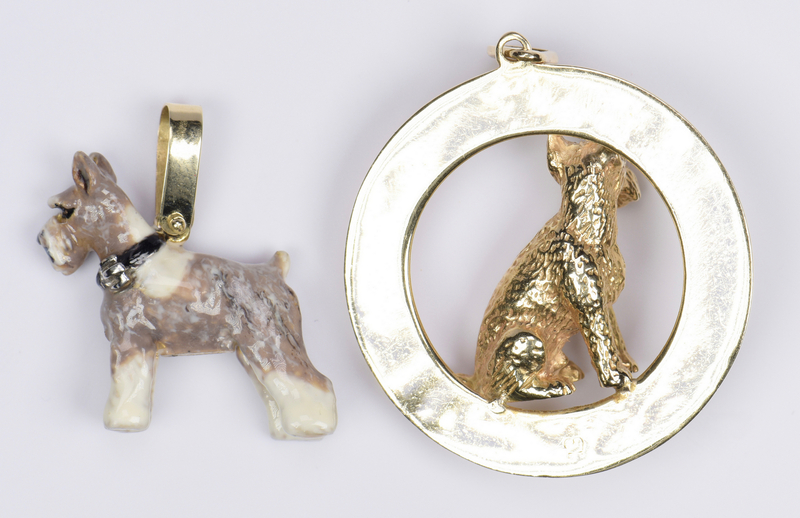 CONDITION: Items 1 & 2: Both items in very good, like new, condition. 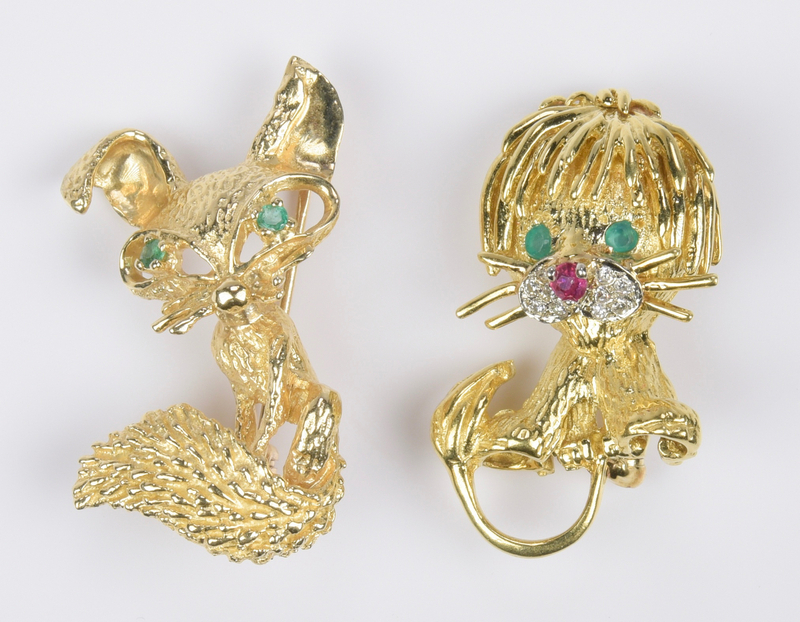 Items 3 & 4: Very good condition.